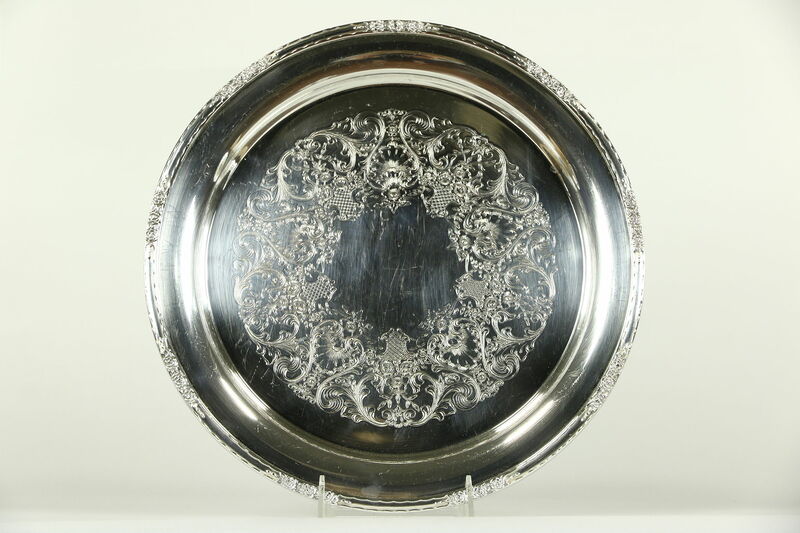 A heavyweight silverplate drinks tray is signed by "International" in the "Camille" pattern from about 60 years ago. Richly engraved, there are scratches as shown in photos. Size of this vintage serving ware is 13" diameter and 1" tall. See 9 photos that enlarge to full screen size. USPS Shipping is $12 in the US.